The University of Minnesota is home to some of the 20th century’s greatest advances in cardiovascular health, including the world’s first successful open-heart surgery using hypothermia and the invention of the battery-operated pacemaker. Today University physician-researchers are continuing that tradition of creating revolutionary therapies—for instance, using stem cells to repair damaged hearts and changing care protocols to improve survival rates for those who suffer sudden cardiac arrest. A place like the University of Minnesota encourages collaboration across areas of expertise that result in groundbreaking ideas. 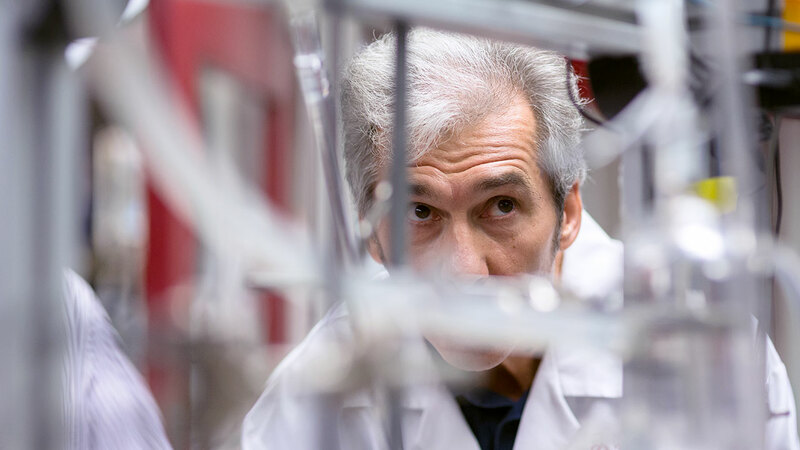 Our medical researchers work with biomedical engineers to create new devices, public health practitioners to prevent disease, and meditation experts to improve outcomes after cardiac events like heart attacks. Our internationally renowned Visible Heart Laboratory reanimates human hearts that have been deemed unsuitable for transplant but can be used for educational purposes. Its “Atlas of Human Cardiac Anatomy,” a free-access online resource, acts as a clearinghouse for a vast array of information about the human heart and informs research and care around the world. Your support advances medical knowledge and changes lives. Give today. This year, 12 cardiologists and cardiothoracic surgeons at University of Minnesota Health were named “Top Doctors” by Mpls.St.Paul Magazine. See the full list. With expertise and ingenuity, a University of Minnesota Health team is helping people born with heart disease live long, healthy lives. Read more. For each heart transplant surgery, getting a donor heart to the operating room in the best possible condition is a finely rehearsed relay race. See how the process works.